Once upon a time, I had a thing for shoes. I wasn't a shoe addict or anything like that, but I could appreciate fine footwear. A trip to Marikina kind of changed all of that. The Instagram page of Blackwing shoes was shared with me by our Classics and Customs editor Ian Magbanua, and I was intrigued by the nice photos. 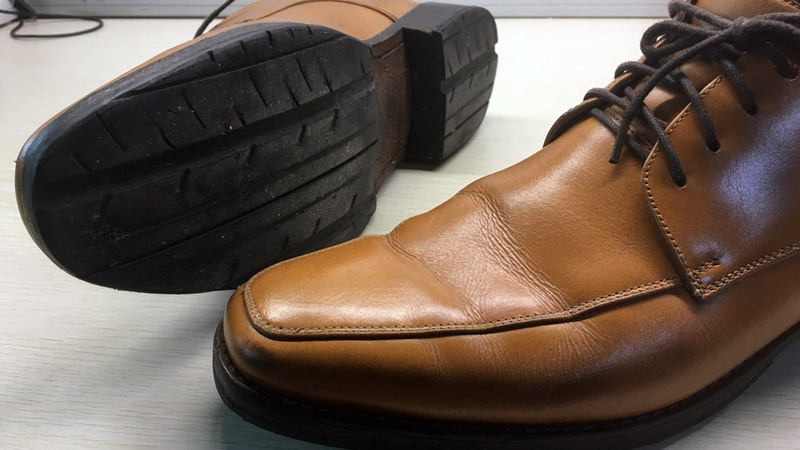 My favorite pair of leather shoes had already worn out, and I couldn't find the style anywhere. Having a pair of custom-made copies was appealing. It took a while to book an appointment, and it also took a while for the shoes to be made, but the wait was worth it. I wanted a leather shoe that I could wear anywhere, could handle lots of walking, and could keep my feet relatively dry during a hard deluge. Buddy, the proprietor of the shop, delivered. When it was time to fit the shoes, I immediately noticed that the sole was made from recycled tire. The tread pretty much gave it away. Buddy knew what my day job was and figured I would appreciate this touch that matches my personality. He was right. There is so much garbage and waste right now, so it is great that these old tires can be put to good use. Putting them on bespoke kicks is a great idea. So, how do they ride? This pair is my favorite right now, because it is formal enough to wear during industry events, and can also handle the lack of Metro Manila sidewalks. Plus, I love the fact that it is made in Marikina. It makes me proud to wear 100% Pinoy-made shoes. Well, I still haven't identified the brand of tire, though. Could be Japanese. Who knows? All I have in my shoe closet now are a pair of cowboy boots, three pairs of Puma Speed Cat driving shoes, and these made-in-Marikina leathers that can handle even the heaviest deluge. It's simpler that way, I guess.